Really feeling this selection of transitional neutrals! Great pieces you can wear all season long, but certainly ideal for the transition for winter to spring and summer to fall. I recently shared an #ootd on InstaStories featuring a similar pair of pants from last year (now sold out), and wanted to share this new pair I found! They look nearly identical – they’ve got the oversized front pockets and are a bit cropped. The only real difference is my pair is made of corduroy, and these are a lightweight cotton blend! Highly recommend a pair of pants in this color for throwing into the mix when you get sick of blue or white this spring/summer. I also really love the look of this white flannel button-down. The weight gives this top some texture and a structure you just can’t get with linen or silk. 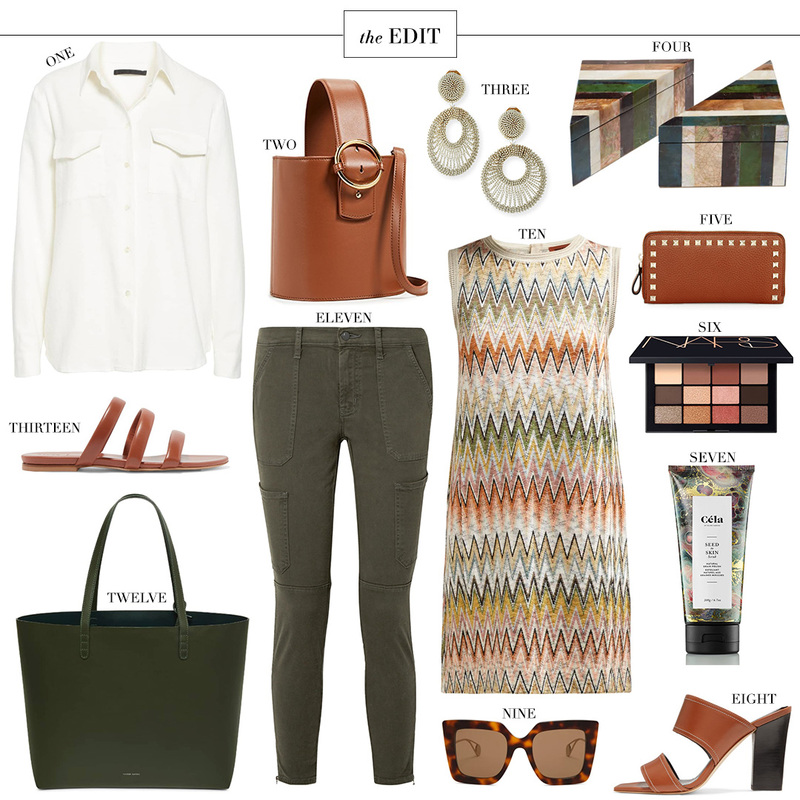 Pair this top with the green pants and tan accessories, and you’ve got the perfect, effortless transitional outfit.